Now that we've been on our Christmas break for a week, I've had a chance to look at where Amber stands in her school work for 10th grade. For the most part, I'm pleased with her progress. Christmas break is actually not the halfway point of our school year, but I often forget this and then am a little concerned when she's not halfway finished with her work. No worries though, it turns out she right on track. After switching from geometry to consumer math fairly early on in the school year, Amber has been doing much better with her math anxiety. Although we are still working on how to handle that beastie, especially after her neuropsych testing documented the multiple issues she has with math. We are hoping she will finish consumer math this school year, but honestly she may not. She only needs a total of three math classes for high school, so she really does not need to finish it until December 2018. 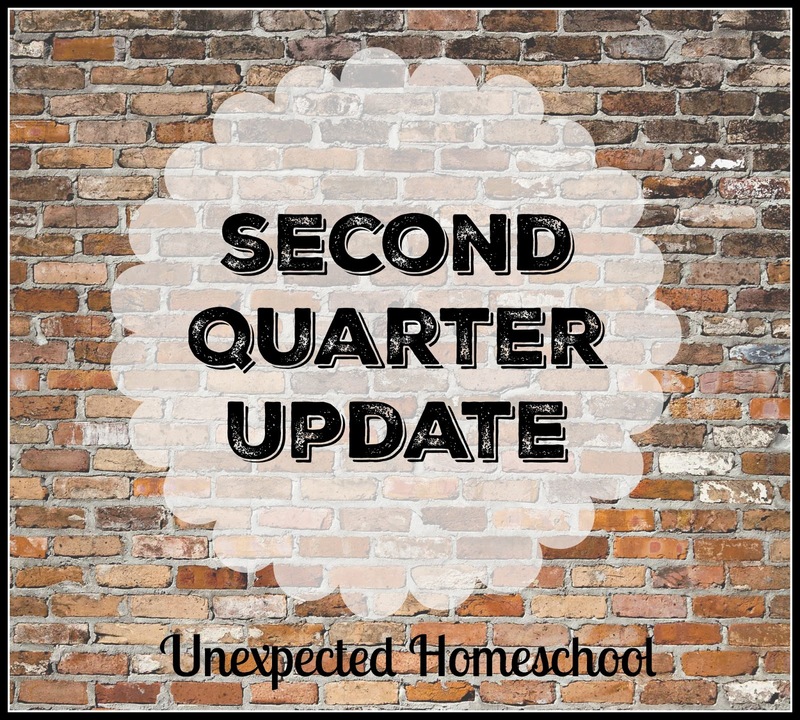 This might be the first year we are not making significant second semester changes to our home curriculum out of necessity. Although, we're back on the Review Crew, so who knows what might come up in 2018. We did add Illuminating Literature: Characters in Crisis as part of this year's literature, since we received it as a review item. But really, we are only using it for a couple of novels as an alternative / supplement to Lightning Literature and Excellence in Literature. Amber will be taking the writing portion of her English class at our homeschool co-op during the second semester. I am teaching IEW The Elegant Essay at co-op, and it will take the place of Amber's IEW student continuation writing course at home. She still will need time at home for the assignments, but will not be doing the lesson work with me alone. Speaking of our homeschool co-op, there has been a significant change there. We unexpectedly left our group of four years and joined a brand new homeschool group that formed last week. Fortuitously, the new group has a co-op starting second semester this school year. I'm teaching all the same classes planned for the previous co-op at our new one, and miraculously Amber has the exact same classes as she intended to take too. This was only possible since the majority of the members and teachers are from our previous homeschool group, and offered our same classes. We are thankful we have this group to continue with in the future. Practical arts has not precisely turned out how we intended this year. Amber honestly had no desire to know more about computers than she does, or at least not in a class format. So, we abandoned her computer usage course. I really wish she had done more with it. Perhaps I should have skipped her right to the word processing portion, although she is fairly competent with word processors. It's handling hardware glitches that concerns me. Still even without the computer class through more cooking and sewing than we expected, Amber has earned half a credit in practical arts the first semester. That leaves her with just a tiny bit left until she is complete finished with the needed practical arts. Therefore, I'm willing to let her earn the rest incidentally by continuing to practice cooking, sewing, and driving. We're hoping for a fun and product remainder of tenth grade. It is great to look back and see you are on track. I hope you have a wonderful break and a Merry Christmas.